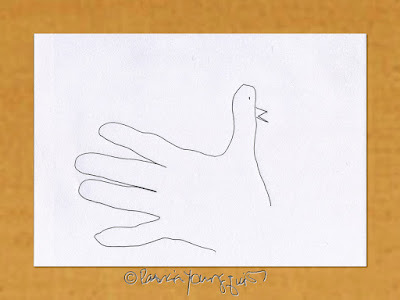 Today is Draw A Bird Day, a longstanding holiday which was created in honor of the dearly departed, Dorie Cooper, who died when she was a child. In by gone years, I have written about little girl and her "role" in the creation of the holiday. Within some of the aforementioned entries, I've included a a copy the photograph atop this post that features one of the ways I was taught to draw a bird by using my hand as a model. 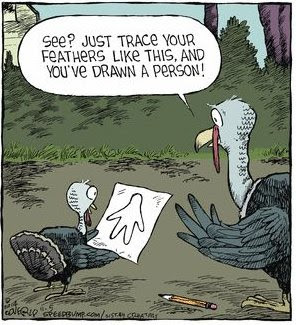 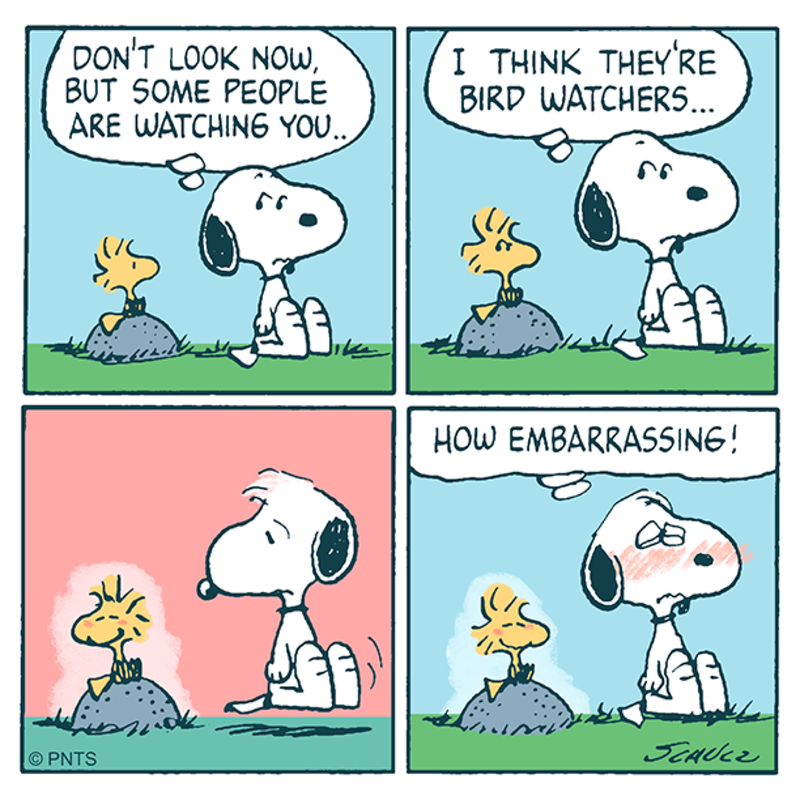 In any event, it seems birds learn to draw humans in a similar manner, as evidenced in the cartoon directly below. 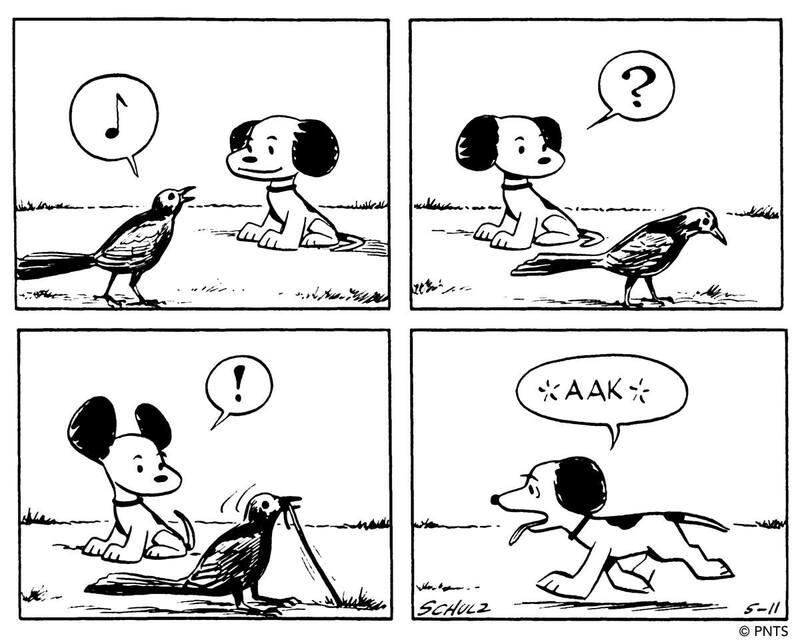 That being said, in terms of humans drawing birds, Charles Schultz often comes to my mind. 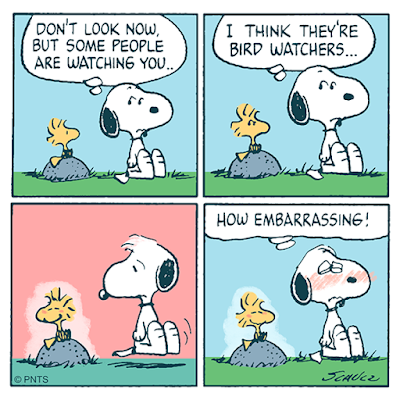 ...is a somewhat evolved bird. 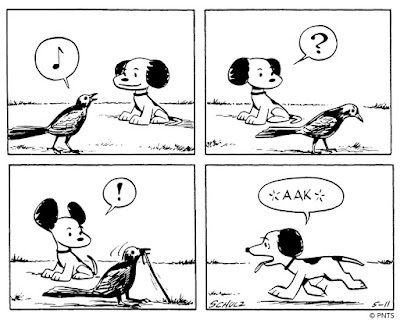 Let me quote from a PEANUTS related (The Charles Schultz Museum) web-page to explain what I mean in saying this. 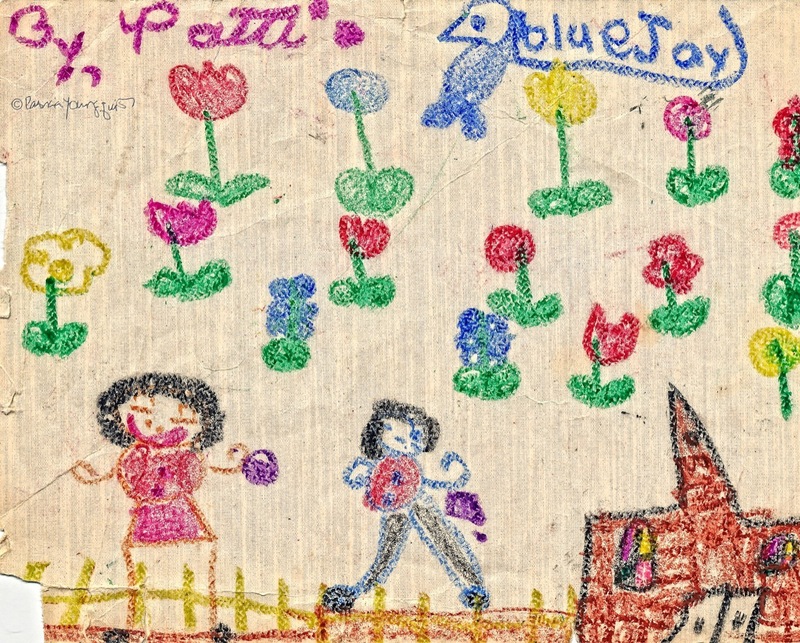 As he developed his ideas and his style evolved, his drawing became looser, more fluid, and in many ways more expressive." 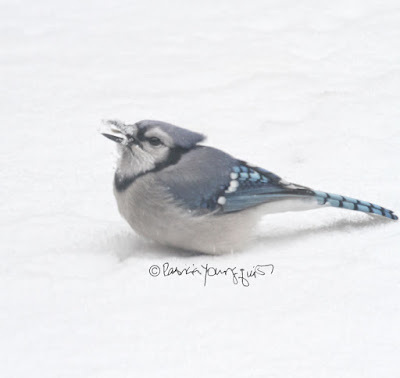 In terms of my drawing a bird, I confess that this posting, I didn't evolve much after my attempts to draw a blue jay as a child and I'm hardly being modest in confessing this as evidenced by my mediocre childhood drawing seen in the next image. 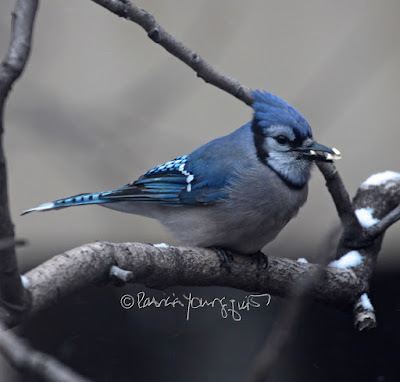 Thankfully I can photograph this bird type which can be seen in the next set of photographs (which were taken of them visiting my garden and/or the courtyard trees during various seasons). 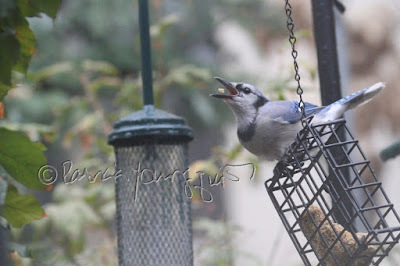 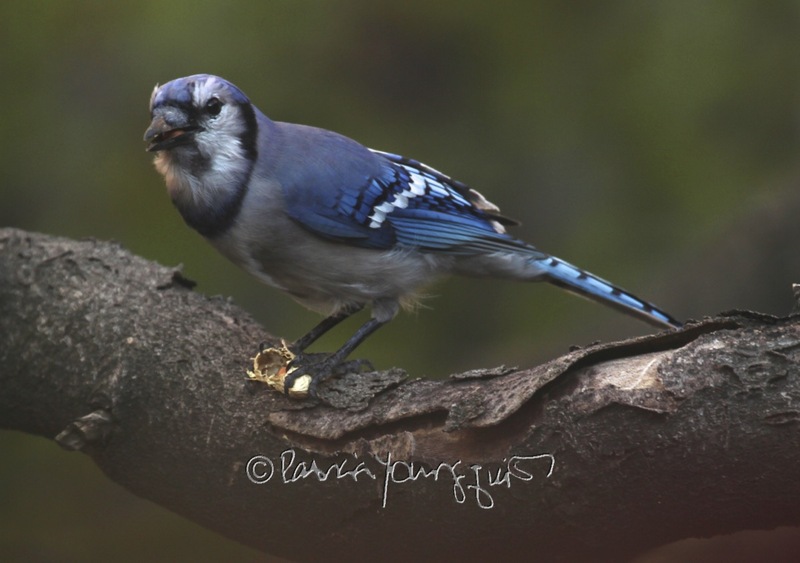 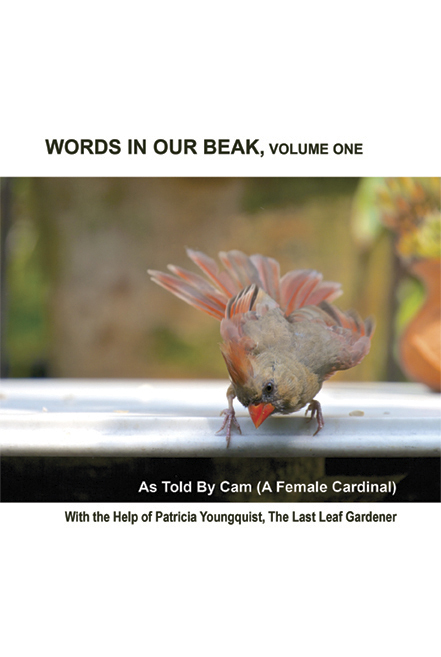 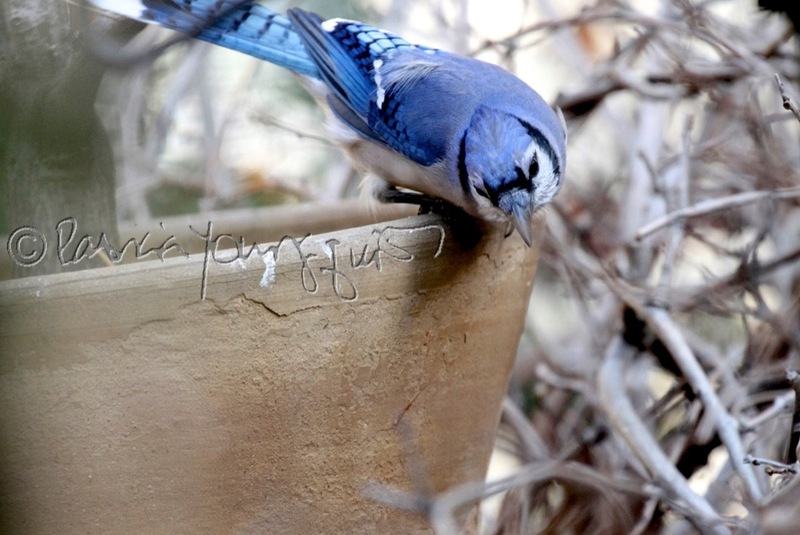 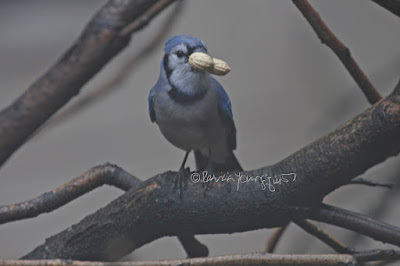 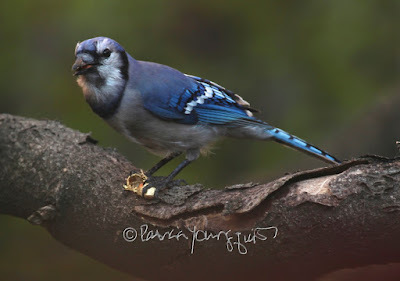 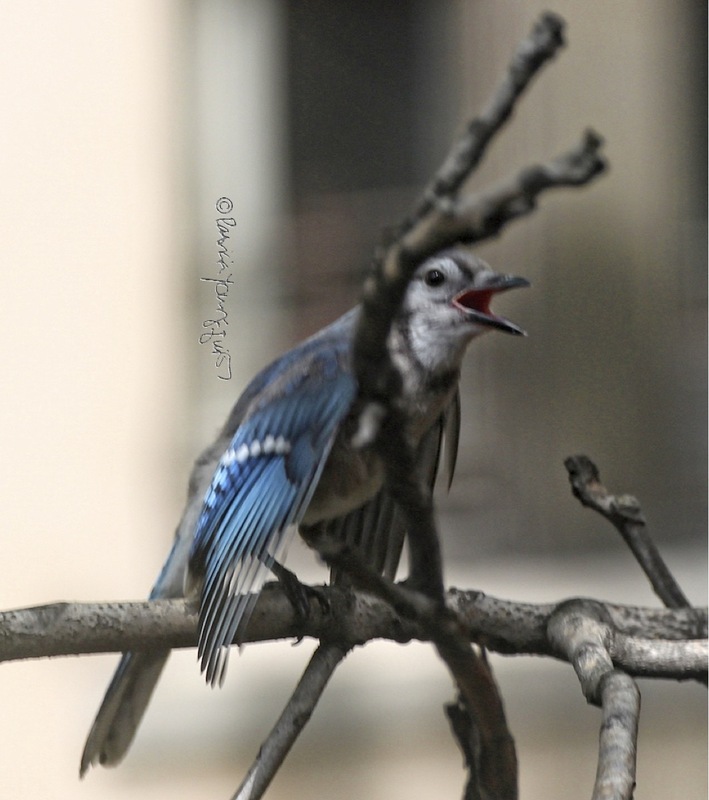 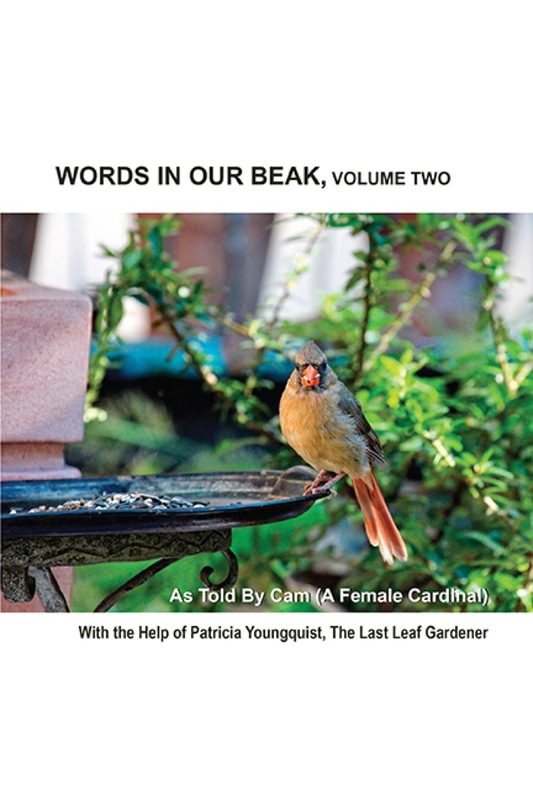 By the way, Blue Jays one of many avian varieties who are featured in my three volume book series, Words In Our Beak. In any event, while I enjoy taking pictures of birds, I would appreciate knowing how to draw them, but that art form truly intimidates me! 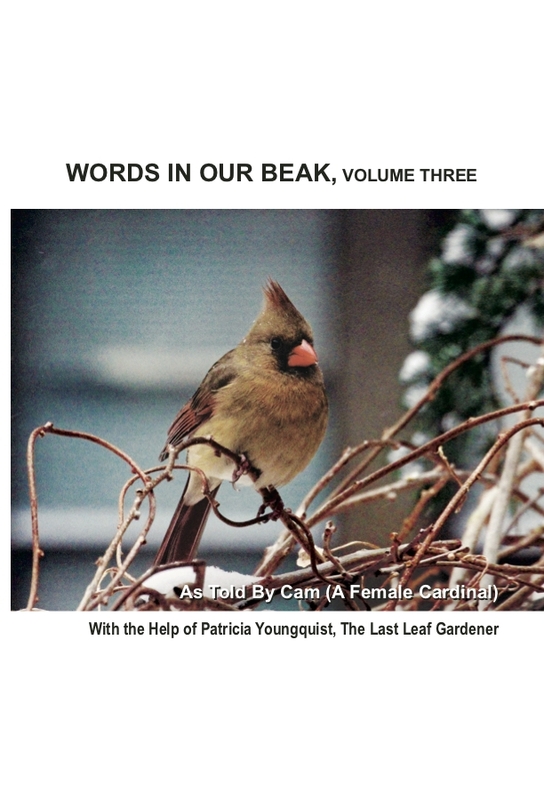 So for now, I'll stick with taking their pictures and including them in my writings; while continuing the drawings of those who possess this talent; which thanks to Dorie Cooper is on the calendar.